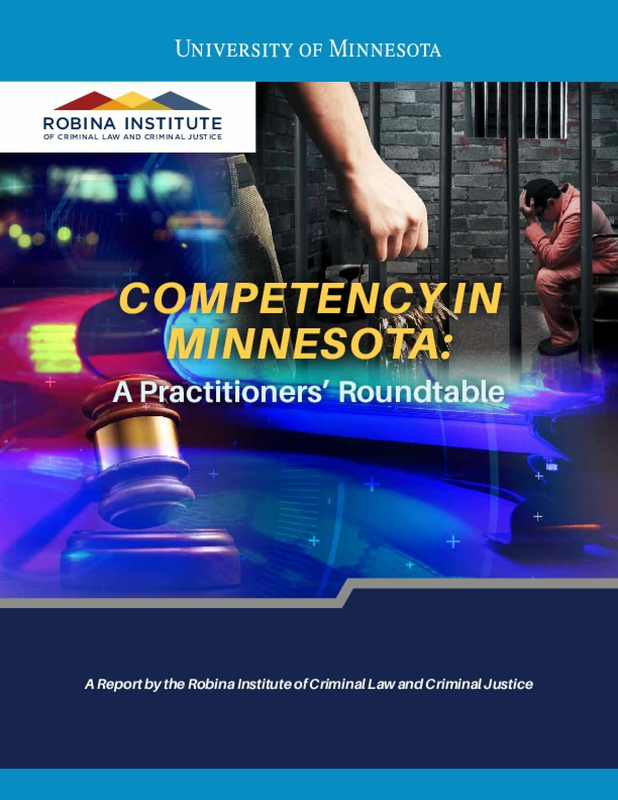 On January 15, 2016, the Robina Institute of Criminal Law and Criminal Justice brought together nearly 200 people for a day of discussion of what Minnesota is doing to secure better outcomes in criminal cases involving mental illness, and to compare ideas on what still needs to be done. Participants included lawyers, judges, law enforcement, policymakers, mental health service providers, advocates, and members of the public. Numerous ideas were suggested for follow up, including the issue of a defendant's competency to stand trial. By the spring, issues related to a defendant's competency to stand trial were receiving greater scrutiny in multiple forums. The Legislative Auditor reported in March that orders for competency evaluations increased by 96% from 2010 to 2014. The Legislative Auditor made seven recommendations for policy changes, concerning both the process in the courts, and the resources to be provided for people deemed not competent. In April, the Supreme Court issued an order seeking comment on a number of proposals, one of which was to establish a new group to evaluate the rules that govern the connection between the criminal competency determination and civil commitment. And on a national level, the American Bar Association continued its work to develop new standards in this area. What problems exist in how Minnesota addresses competency to stand trial? What changes would the group recommend? What are the group's reactions to the Legislative Auditor's recommendations? This report attempts to summarize many of the ideas discussed and developed through the June roundtable discussion. The Institute agreed not to attribute comments to individual participants in the interest of open discussion. The conversation was complex and free-flowing, and this report does not include everything that was said. The recommendations relating to competency that were identified by the Minnesota Office of the Legislative Auditor are included and discussed in section 3 of this report. The discussion participants are identified on page 9 of this report. Copyright 2016 Regents of the University of Minnesota. All Rights Reserved.